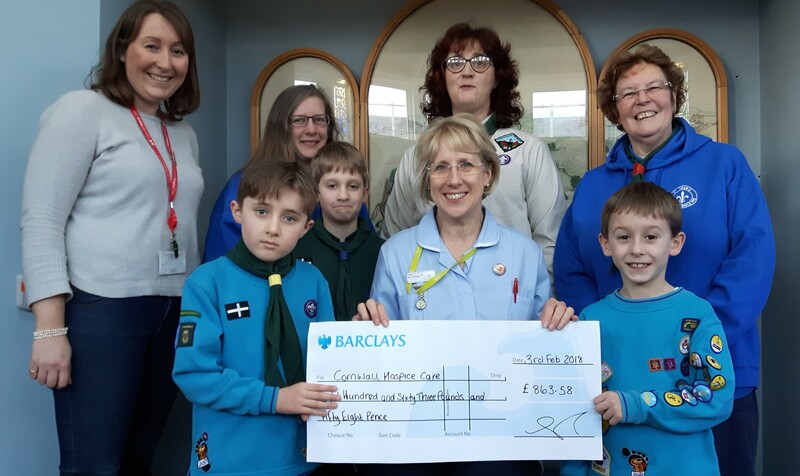 Last Christmas was a busy time for the 1st Truro Beavers who set about raising money for Cornish charity, Cornwall Hospice Care. After months of preparation, a festive fayre and a stall in Sainsbury’s the youngsters raised £863.58, nearly two thirds more than they’ve ever collected before. 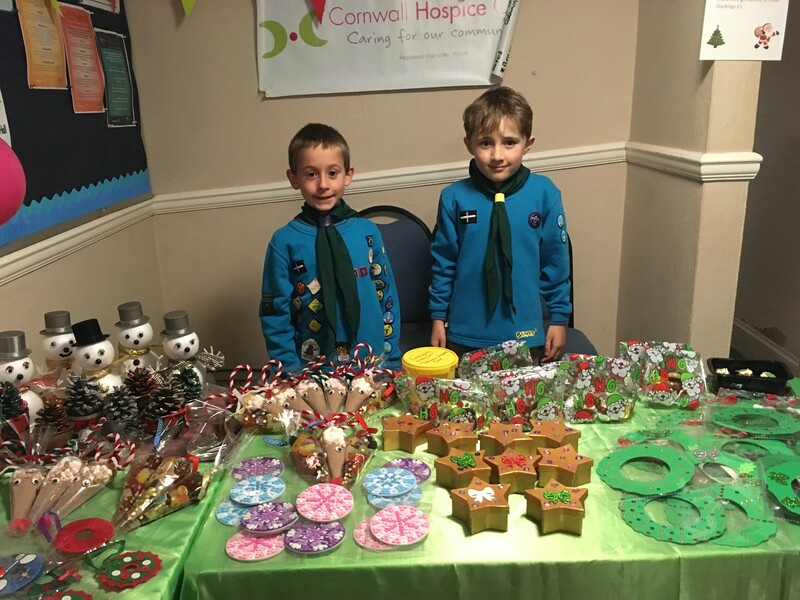 The Beavers choose a different cause ever year and selected Cornwall Hospice Care because one of their Mums is a community fundraiser for the charity. Collectively with their team leaders, they made a range of festive goods from cards to gifts, wreaths and stockings. Some they sold at a Christmas Fayre at the Methodist Church in Truro and the rest on a stall they set up at Sainsbury’s in the city. The stall set up by the Beavers and featuring Willem Bray (left) and Barney Mason. The official presentation of the money to Senior Staff Nurse Claire Collings – back row (from left to right) Clare Bray, Jacqui Hardman, Belinda Gough and Karen Chapple. Front row (left to right) Barney Mason, Josh Hardman, Claire Collings, Willem Bray. There are two versions of this picture, one with cheque and one without. Inspired by the 1st Truro Beavers? Help us continue to provide valuable care.